Why Your Home Needs Proper Ventilation. Today’s green building techniques are resulting in tight building envelopes. This allows homes to be more efficient than ever before and helps keep energy bills low. Today’s building science also requires home ventilation to be looked at in new ways. Tight building envelopes require proper air exchange to manage indoor air quality. With today’s homes being tighter than ever, there is less opportunity for air to naturally escape. When you combine this with an increase the number of additives in today’s building products, indoor air quality can become quite poor. If you live in a newer, energy-efficient home, you need a controlled ventilation system to maintain optimal air quality. 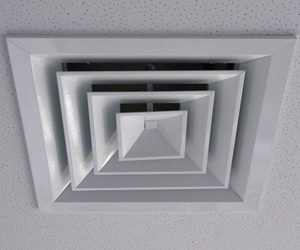 Exhaust Only – A small exhaust fan is programmed to pull out stale air and moisture. The home relies on natural air leaks to bring air into the home (not an energy-efficient option). Supply Only – A fan brings fresh air into the home. Air is not mechanically vented out. The home relies on natural air leaks to vent air from the home (not an energy-efficient option). A balanced ventilation system includes both exhaust and supply to control ventilation at both ends. This system includes separate fans to manage air supply and air exhaust and create an energy-efficient ventilation balance. This system can go one step further by adding heat recovery which conditions the incoming air prior to entering the home. This is a great system for cold climates, preventing cold air from being drawn into the home during winter.